As many of you may know I used to work in the restaurant industry as a training manager. It was a great experience and I truly loved what I did each day. My reason for telling you all this is that a lot of people do not understand what it takes to be in the hospitality industry. It is so much more than just cooking food and serving people in a clean establishment. You must create an experience for others. That being said, I am both the best guest to have at your table or bar because of how understanding I am of the day to day restaurant life as well as the most critical when it comes to certain parts of the experience. While in Cleveland, we were treated to lunch at The Corner Alley, which was only a few blocks from our hotel! "Combining a hip 16 lane bowling alley with a martini bar and sleek casual-dining restaurant featuring Cleveland-Inspired cuisine The Corner Alley is the ultimate entertainment experience." 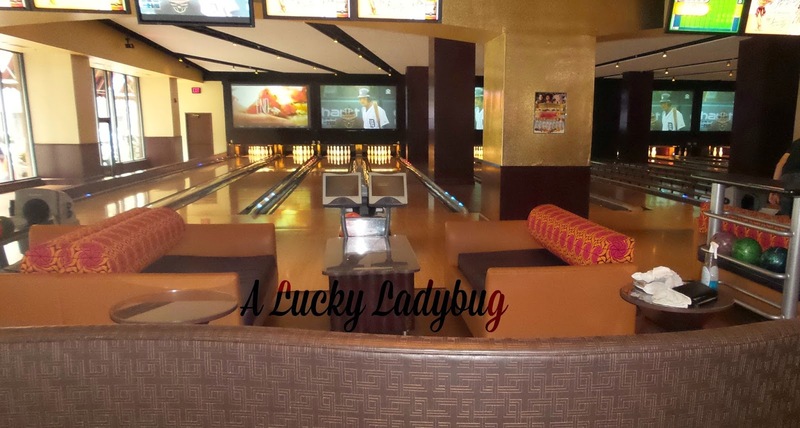 We were beyond excited to experience lunch at such an upscale bowling alley! Featuring 16 lanes and 50 flat screens, you can have your cake, eat it, drink it, and bowl it too! This is truly one of the coolest locations I visited while in Cleveland and can tell you that with it being so centrally located, I bet it is a hoppin spot on any given night. That being said, our experience was a very different one during the day time, lunch service. I was beyond disappointed to see such a wonderful concept, destroyed by offering a day time service. I am not sure if the staff was confused or never notified of our large party (even though they seemed to know all about it), but had it not been for our friendly server greeting us right away, we might have left after the first 30 minutes waiting for drinks alone. It took approximately 1 hour to receive our food as well, with us being the only table in the restaurant. While I understand large groups can take a while, the drinks should have been an easy thing to keep up on with such little traffic throughout the restaurant. Thankfully, in this situation, the food quality was worth the wait. Everyone's meals were beyond plentiful and all completely correct. 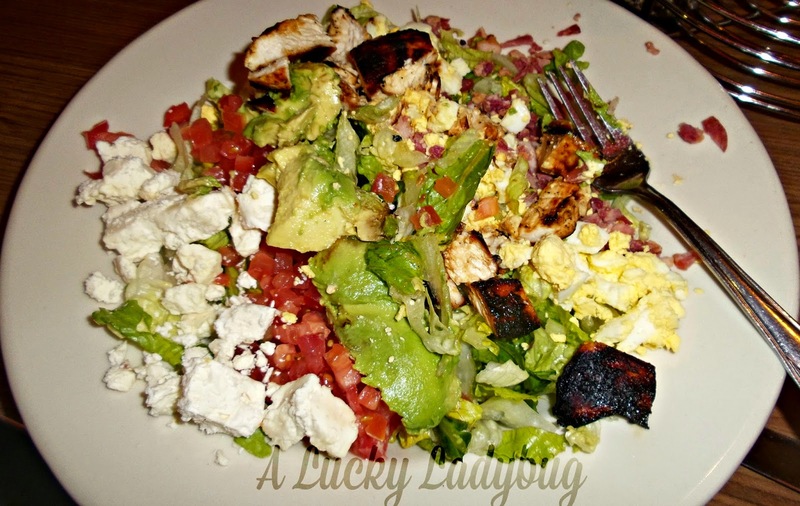 I ordered the Chop Chop Cobb salad and received one that was bigger than anything I've ever had before. Everything, including the lettuce and all ingredients, were very fresh, piled on, and presented in a picture perfect way! While the service and speed might not have been as present as expected for a slower business time, the concept, quality, and taste were all above average. If what we experienced during the day is normal for The Corner Alley, then I would recommend only opening for the evening, prime hours. I would definitely like to return during a weekend evening to see what the ambiance and service are like in such a prime location! Recommendation: I definitely recommend visiting The Corner Alley if you find yourself in the Cleveland area! I would love to see a similar concept in Detroit or any of the metro areas where nightlife is booming. The prices were more than reasonable for the amount and quality food we received. If I lived in the area I'd be ordering dinner from them constantly!